Campfire Ashes Ceremony: We encourage our Campers to bring Ashes taken from an earlier Campfire and sprinkle them onto the flames of our Campfire. Gone Home Ceremony: We encourage our Campers to bring a Necker of a Scouter or Youth that has "Gone Home" and place it into the fire. American Flag Retirement Ceremony: Old American Flags will be retired, followed by the American National Anthem. 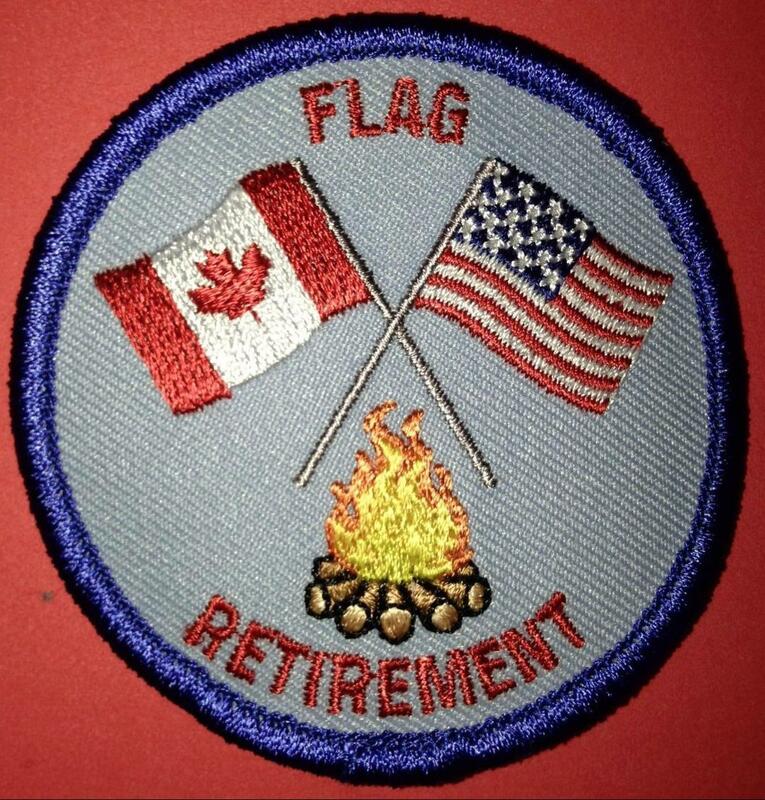 Canadian Flag Retirement Ceremony: Old Canadian Flags will be retired, followed by the Canadian National Anthem. Please bring any old and torn Canadian Flags to Camp.